CyberDance present a debonaire debut label compilation featuring veteran neo-Italo stallions (Ali Renault, Tommy Walker, Mark Du Mosch) and a new class of disco usurpers (Brassica, Martin Aston, Bill Ambrose). 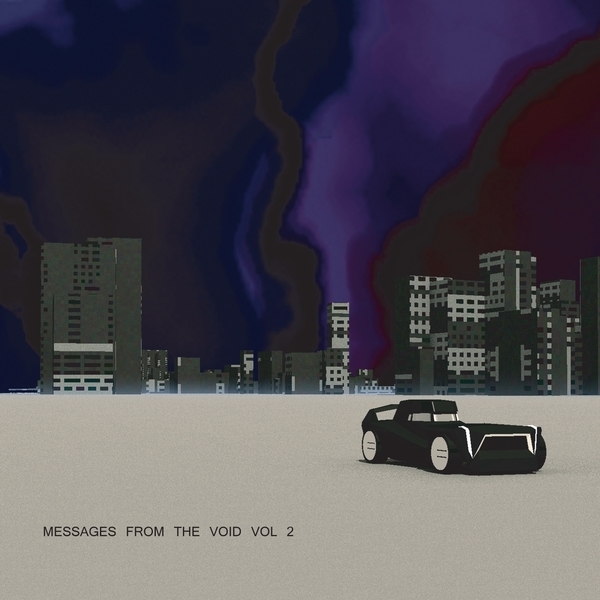 'Messages From The Void Vol.2' confidently reasserts the labels sound with a fresher, wider-reaching remit. Within, you're destined to find surprising entries like Tommy Walker's sleazed-out Bossa disco number 'Let's Not Go', and the 2-step pivot of Brassica's 'Lydden Circuit' or the New Beat-y jack of Flemming Dalum's 'Flight To Zanzibar' edit, all searching for new dancefloor solutions to an age old problem, next to more typical Cyber Dance memes on Ali Renault's aqua-funked 'Deep Sea Pumas' and Meschi's masterful 'Arctic Wolf (End Credits)'. However, the highlights belong to Mark Du Mosch and the sickening levels of subbass and preening synths on 'Pacifix', or the anthemic potential of Spruxx and Bill Ambrose's rototom-flecked 'Bad Lovers Bad Drivers'. Disco: guaranteed!